It's Christmas in July! That is what it feels like whenever we get to show you a list of paid iOS apps that are free for a limited time. When everything goes right and there is magic in the air, you just might find an app that you've been pining for available for free. Now, if you've never gone through this list before, there is something you should know. These free apps could revert back to paid status in a heartbeat. If you see one you like, snap it up right away before it is too late. 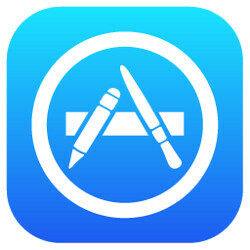 To go through the list of paid iOS apps that are free for a limited time, click on the slideshow. There you will find the name of the app, a link to its Apple App Store listing, some brief information about the app, and a screen shot. Some interesting apps include Faux Browser which hides the web sites you've visited online using the app. And Hands-Free Browser allows you to surf the web hands-free. If you want any of these apps, install them now before you have to pay for them tomorrow! Good luck and happy hunting! Usually $1.99, Player Clock is a clock that comes with an integrated music player and continuous changing colors. Normally $4.99, Faux Browser is a browser that doesn't track the sites you visit, nor will it work with Google. If you don't want anyone knowing where you've been on the internet, this is the browser that doesn't leave fingerprints. Save $2.99 by installing this app while it is free. There are two tests with this app. One is a Mensa test with 39 questions and solutions. The other is a 33 question European IQ test with solutions. Find out if you're really as smart as you think you are! Normally $1.99, this app monitors the battery life of your drones. Regularly priced at 99 cents, this is a single player word game with elements of rpg included. Battle monsters with your words. Priced at $1.99 normally, this browser allows you to surf the web without physically touching the screen. Use gestures to scroll he phone vertically or to move side to side between pages. Usually $2.99, this app makes moving over your contacts list a snap. Merge duplicates to get rid of them and add pictures to your contacts. Sending group email and text is a snap! In-app purchases include a back up for $14.99. Priced usually at $1.99, this is the app to use when you are splitting the cost of something among various participants. Free for now, Video Editor is usually $1.99. Select the start and end times for your videos to make them an easy cut before you save them to your camera roll. "Paid iOD apps that are free for a limited time" but thanks anyway. Cool that you picked this up :). I made the Hands-free Browser app. Sometimes I make my apps free, just as a present to the people who follow what I'm making, and to put my work in front of a new audience who might not normally spend money on apps.